Why am I always the last to know about anything cool? I thought we were friends. I hate garage sales. And yard sales. I don’t want to go through the hassle of pricing, staging and standing around trying to sell things in my front yard. Especially things that will only bring around 50 cents. Selling things takes patience. I have none. We are moving and, as you would expect, had accumulated a lot of unnecessary stuff over the last seven years in this house. Things simply had to go. Then someone told me about Varage Sale. And my world was forever changed. It was instantly somehow a little brighter. And full of rainbows. And promise. What is Varage Sale you ask? Varage Sale is a friendly community-based marketplace where people can buy and sell in a friendly, fun and non-threatening environment. If you don’t already have it go immediately and download the app. All you have to do is join a community and you are ready to start hammering out deals. It works like this: You snap and upload a picture of what you would like to sale, assign it a category (furniture, clothing, electronics) and name your price. Your item is then added to the feed. People who are interested will comment on the item. The first person to comment has the first right to purchase the item. If they choose not to, or pass on the item as it is called, then the next person in line is up. On Varage Sale you have to follow the rules. The rules are what keeps the community site flowing. And it keeps things fair. And if you don’t follow the rules people will call you out. On Varage Sale you reputation as a buyer or seller is everything. Do not screw it up. So let’s say someone agrees to buy your posted item, then what happens? You agree to meet in a public location and exchange goods for money. That way a serial killer doesn’t show up at your house to murder you. That is a win for anyone. Let’s just say Varage Sale is one of the top ten best things that has ever happened to me in my life. It was going to help me get rid of the things that I no longer needed and get them to people who could use them. And give me a little cash. And everyone likes cash. Gahhh purging feels soooooo good. So I listed everything that I could find. Seriously it becomes addictive. You start seeing everything in your home as dollar signs. Do we really need that lamp? Because I am pretty sure that baby would bring five bucks. It didn’t take any time at all before I had sold my first item. I was a pair of baseball cleats, shin guards and an athletic bag. We agreed on a price and a meeting locations. I headed to my local Walgreens on an early Friday evening, with my sold item in hand. I pulled into the lot and noticed that many of the parking places were already taken. I found an empty spot and parked. I was looking for a woman driving a black Ford. I scanned all of the vehicles. And then I noticed something strange. There were deals going down all around me. Apparently I had pulled into a hot bed of Varage Sale transactions. I stepped out of the car. One woman was walking toward me and said: Do you have the book? I shook my head no. Someone to my left called out: I have the book. Cars were pulling in and backing out. Women trotted back and forth across the parking lot. Items were being exchanged for money at every turn. Not many words were spoken except for the niceties of hello and thank you. I had unknowingly stumbled into the seedy world of Mom on Mom transactions. I spotted my customer. She walked toward me smiling. I handed her the Nike bag stuffed with sports gear and she shoved eight dollars into my hand. Gone are the days of Friday date nights with that special someone. No more long nights of dancing, concerts or art museums. We are all married with children. Ain’t nobody got time for that stuff anymore. Now we moms spend our Friday evenings at the local Walgreens trying to make a dollar. But it is more than that for me. I do it for the rush. It feels so right to meet another mom at a rendezvous spot with the sole intention of selling my daughter’s last years coat for seven dollars. I now possess a stack of ones that would make your head spin. And my house has been de-cluttered. And moms all over this town are happy with the knowledge that they got a great deal. The saying is true. One man’s trash is another man’s treasure. Your son may have outgrown those roller skates but for six dollars they would fit my son just fine. Seriously if you haven’t been introduced before, you are welcome. Do the admins get paid? No the admins don’t make any money unless they are selling their items just like everyone else. Tami Zuckerman , How does VS make money? Is there a listing fee or transaction charge? I do not know about that Tami. I didn’t pay anything to list my items. There are no fees charged to buyers or seller nor will there ever be. Hmm, I think this is broken, this was supposed to be in response to another comment from someone who asked me this question. Hi, I thought I would let you know that I’m one of the admins of a UK VarageSale group, we joined in August 2013 and have been growing from strength to strength since. 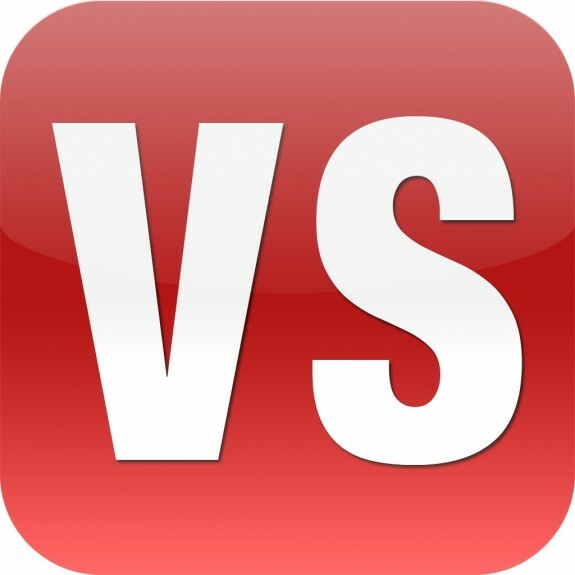 Everyone who uses VS loves how easy it is, and how simple it is to keep track of your items. We would never go back to the way it was. Tonja, this was a brilliant read! My husband and I created VarageSale. To read about your experience was truly a gift and warmed my heart. Your article was impeccable. It describes VS exactly and had me smiling the whole way through. Thanks for sharing all the sides of VarageSale; it’s community aspect, it’s rush, it’s humour, it money saving/making, it’s safety, it’s cleverness. All explained so well! Oh wow! I never expected it to reach as far as it has! Thank you so much! I’m honored. Amazing to see what it has grown too! It was members of my community that developed it: we were the first to try it – just amazing! You explain what VS is all about so well! I (literally) laughed out loud when you described the Walgreens parking lot because that’s the “hot spot” for meet ups around here too! It’s exactly as you described! Moms trotting to and fro with their purchases (or their cash), a few nicities and then, in the blink of an eye, we’ve all cleared out of the parking lot with our fabulous finds! Thank you so much! I’m usually the last to know about anything awesome. Glad I am in the know now! One of my favorite apps/websites. I have also sold off lots of stuff before moving, and then even more after moving when I opened boxes and said “why did I move this? !” I am able to search for things I need in a snap. Most everything is priced at garage sale prices. Plus, you don’t have to get up early to go to a garage sale. Oh my goodness that’s the best part! I Varage from my recliner as I watch tv! Thank you so much Helena! I just may call them back! I was first attracted to Varagesale almost 1 1/2 years ago when it was really just beginning to take off. I can’t even imagine where this thing will be 5 years from now. There seem to be so many new Varagesale communities popping up everywhere ! Usually all members including myself were members of A Facebook yard sale group but OMG, seiously Varagesale is so much better. You want to talk about easy to post and easy to find what you are looking for ! Ilove this and so do my friends and family ! I have bought and sold quite a bit with VarageSale. Seriously guys, I have mad several thousand dollars just since this past Christmas ! I recently purchased a new Android phone form Verizon and you guessed it. Varagesale had and app for it ! How cool is that.! It is so easy! Too easy. I want to sell everything that I own! Ha! I LOVE VARAGESALE! I have frnds asking me about it and others saying ‘sell this for me! lol and shopping rocks especialy w 3 kids! i take what i make n buy other stuff from the site! I Love Varage Sale as much also …. I Love How You Have Worded This Blog You Cut Right In To My Heart For This Wonderful Platform. Ty And Make Those Dollars & Save Big Time On Family Quality Time …. Varagesale On Whoo Hoo!!!! Thank you! That’s hilarious that everyone loves Walgreens! VarageSale is awesome! There are community groups all over the world, so just look for one close to you to join There are even some international and worldwide groups, if you don’t mind shipping your items or paying shipping for what you are looking for. I agree with you. I think VS is going places! I love VarageSale for all the same reasons! In fact, I’m an admin for one of the first groups. It’s awesome and so much better than the anonymity of other platforms because it is community-based with its tie to Facebook. There are also iOS, Android, and Kindle Fire apps. All for FREE! Go shopping! Sounds much better than Craiglist murder!! !